It’s at times like those that I realize how good I’ve got it. As a waitress. That’s right—a waitress. It’s an inglorious job that people outside of the restaurant industry tend to look down on. It doesn’t exactly scream “motivation,” and at its worst, it screams “uneducated” or “Hooters girls.” Sigh. But the more I dig into the travel writing world, the more I’ve come to appreciate my “day” job. And despite the lack of benefits and security, it couldn’t be a better gig for me right now. I didn’t plan it this way. But I majored in Creative Writing, and it’s not like there’s full-time gigs writing poetry. I hosted and served (and managed a local swimming pool) to get through college. I left the country for the first time after graduation, fell in love with traveling, and decided to stick around restaurants, if for nothing else than the time off (and getting to sleep in). I’ve never worked a 9-5, never worked in an office, and never felt stifled or constrained by my job. I forget about the corporate trap of 40+ hour work weeks, because I’ve never lived it. I come across blogs with lengthy “About” descriptions detailing the karate-chop someone gave to the confines of corporate life (“I quit a job with XYZ company, sold everything and took to the road”), and I think, “Huh. That’s a life experience I totally can’t relate to.” I’ve certainly felt claustrophobic and stuck in my own life, but never because of my work. There are trade-offs for the freedoms that come along with being a waitress—big ones. I work holidays and weekends, have never had a paid day off in my life, and the idea of a retirement plan or dental insurance is for me as exotic a fantasy as, say, traveling around the world is for some. But I swap all these securities for the one thing I can’t live, or travel, without: the ability to pick up and leave, yes, but also to not feel trapped. The number one plus of restaurant work for a traveler is the ability to take time off. It’s just a part of the culture—and why the cliche of a struggling artist or musician working as a server is so prevalent. The idea of being constricted to 2-3 weeks of vacation a year—paid or otherwise—scares the crap out of me. No wonder people quit their jobs to travel the world. Allowing for time off is rooted in a deeper aspect of restaurant culture: flexibility. At most places it’s totally acceptable to switch shifts and in-times in order to accommodate whatever else is going on your life. Which is great for me now. Shifts in most restaurants aren’t the grueling 8+ hour affairs they are in offices. My shifts currently average 5-6 hours, and are sometimes as short as 3 hours. This means that, even on days I work, I have time to write, and take care of all the tedious tasks/errands that come with being alive. Because restaurant work is tough and doesn’t require traditional education, it’s chock full of immigrants. Mexicans and Central Americans fill the restaurants of California—which means you’re constantly immersed in Spanish. It’s impossible not to pick up a little Spanish in California restaurants. I’ve given myself pre-trip crash courses when I declare that no one should speak to me in English (this doesn’t really go as well as planned). As of late, I’ve been pretty lazy on the language tip; even still, I hear Spanish all the time and understand a fair amount (“Oh, Lorena, tienes un novio?”). I’m even picking up some random Mayan words (“pibil” means “baked”). Last year, I interned for several months at a rad travel website. Everyone was super nice and I enjoyed all the writing work I was doing, but the work environment felt totally alien: everyone sitting at desk, quietly clicking away on their keyboards. I was not used to the quiet, the immobility, the comfort and niceness of it all. Restaurant work is visceral, and I like that. I tromp up and down stairs for hours, carrying trays of drinks and stacks of plates up my arms. I sweat. I spill salsas and half-eaten food down my apron. I sometimes have to pee for an hour, but am too busy to go. On a busy night, I’ll wait on over 100 people—interacting, reading them, talking and joking, making sure they have a good time. It’s intense and draining and I kind of love it. But before you swap that comfy gig at the stifling job you say you hate, check out the other side of the scale: the restaurant work bummers. And I don’t just mean health benefits. These days, most restaurants in the Bay Area offer some kind of health insurance (albeit chintzy and hard to qualify for). What I mean are all the other “kushy” benefits (benefits that are automatics for all workers in some other countries—but that’s another post…). I can take all the time I want off, but none of it is paid. That extends to paid holidays and sick days. If you’ve got the flu, tough. Maybe your landlord will accept a doctor’s note. Even those legally required 10 minute breaks are the stuff of waitress fantasy. Maybe someday we’ll unionize. Until then, we pop DayQuil and work sick. It’s not just the lack of unions; the lack of security in the restaurant world again goes down to the very nature of the job. When times are hard, as they are now, one of the first things people cut is eating out. Or worse, tipping. And there’s no safety net under the waitressing tightrope. In most restaurants, you earn minimum wage (in some states, they can pay you under minimum wage; I knew a server in NYC who made $3.12 an hour! ), which is usually just enough to cover taxes. So essentially all the money you’re making is from tips. If you have a slow night, get a string of 10% tippers, or, oh say, the economy totally falls into the shitter, you’re quickly screwed. There’s no guaranteed income to fall back on. By the same token, though, you can make insane amounts of money when times are good. But if you don’t know how to budget, it can devolve into a feast-or-famine lifestyle. The restaurant industry is great when you’re young and energetic and can’t stand the thought of sitting in a chair all day. But it’s not an industry to grow old in. Long hours on your feet, carrying trays and plates, seriously wears you down. By 23, I already had chronic lower back pain and an interstate roadmap of varicose veins criss-crossing my legs. But these are the markings of someone who works for a living, like the calluses of my dad’s hands, the unwashable black under my brother’s nails: work you wear, that wears you. Whether I planned it this way or not, waitressing as become a part of me. And until I scramble my way to the top of travel writing heap (wink, wink), it’s not a bad way to earn my rent, fund my travels—and get the hell out of town. I actually minored in Technical and Professional Writing, with the idea of using it to edit. But so far it hasn’t worked out (okay, so I haven’t really pursued it). 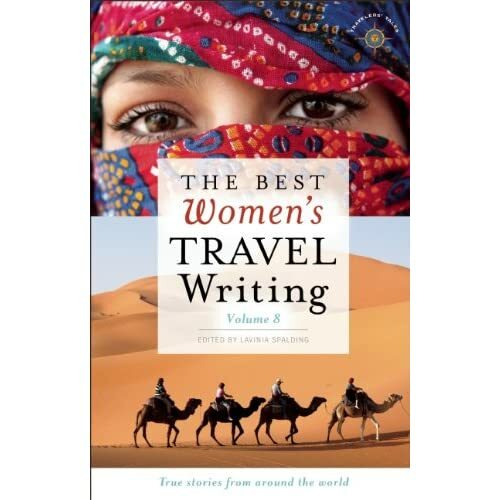 But glad to read about someone my age that’s made the travel writing thing work—always reassuring! Another traveling-travel writer-waitress! I honestly don’t know that I could’ve become a writer without the job. I am possibly at my breaking point with the gig, but I can relate to a lot of these positives. The freedom to pick up and go is something I’d have a hard time trading in. In fact,I traded in my comfy corporate tech, writing job just so I could travel and write. And have been waitressing — between trips — ever since. But there is something to point out: California, and specifically the Bay Area, is probably the best place to waitress in the US. I grew up outside of San Francisco, and I definitely don’t get all those positives here on the east coast. Waitressing is a little inhumane everywhere (oh, that hour of having to pee), but servers are by far treated the best in the Bay. Just another reason it rocks. 1) I get paid 3.20 an hour. Now that the economy has tanked, there are some dayshifts I make 30 bucks. And I don’t even see that money at the end of two weeks — the restaurant just sinks it into your taxes so you don’t owe so much. So, pretty much you’re a free maid for the day. 2) The atrocity of doubles. California won’t allow them, because they’d have to pay you too much, but on the east coast 10-13 hour doubles are the norm. Just did a 12 hour one yesterday. It is absolutely the worst part about waitressing. Basically, it’s illegal in California. They have to guarantee you a break after 8 hours (though not all servers take it). Here in Maryland, we can work for 13 hours straights without a 10 minute break to nom on something. It’s a law people have tried to change for years, but no go. Isn’t that messed up? California protects its servers much better. Thanks for reminding me of that. I may be moving back soon, and if I have to waitress for a while, I’ll feel a little better about it. **And probably another negative to add would be the fluctuation of schedule — if someone gets fired, you suddenly have 3 extra shifts! **And an added positive: The humor and the friendships! You become much closer to your co-workers in a restaurant than an office. It’s rough, abrasive, involves shouting and dirty jokes, drama and endless humor. It brings ya together. You’re totally right about the overall getting-screwed-ness of waitressing. We’ve got it pretty good in California, especially in the Bay Area. But even here, restaurants are notoriously shady when it comes to labor laws. I’ve definitely worked my 13-hour doubles with no break. Regardless of all the lifestyle perks and what can be fast and good money, it’s a fundamentally exploitive job. If we were ever able to unionize, it’d be a whole different scene. One good anecdote: last year I got a phatty check in the mail when a former employer lost a class action suit. Five years of unpaid breaks adds up to a trip to Spain! Now THAT is vindication. Great anecdote — definitely brings a smile to my face. Where do you work, by the way? Just curious if I know of it. Ah, how I can relate as well! I waited tables at only two restaurants–one for about 2.5 seasons (seasonal place) and the other only for 3 months because I moved. And–the tips could be amazing or atrocious; my official wage was less than $3/hr (these were in Utah and Colorado, respectively); I loved, was indifferent toward, or even actively disliked my customers; but, oh the freedom! Besides all the good things you pointed out in your post, I honestly think everyone should once in their life work a service job. Humbles you, teaches you to appreciate servers, and boy oh boy is it great if you’re a writer or other creative type for creating characters. Do it while it works for you. Which won’t be forever, rest assured. 🙂 Nice post. As an ex-waitress, I really related to this piece! One of the things I loved about serving, was my co-workers. Restaurant people tend to be gregarious, quick thinking and fun. And contrary to some public opinion, you have to be pretty smart to juggle all the demands of the job while charming the customers and smoothing over the inevitable mishaps along the way. It was with some sadness, that I quit the gig when I had two small children (know any of them Lauren?) and moved on to an occupation whose schedule was more compatible with family life, teaching- which brings me to two more ‘downs’ to the job– unless you work only lunch shifts (way less money), the job doesn’t really work with kids. Another down- there’s quite a few folks who are into partying too much, and even if you’re not involved, there’s always drama. Thanks Lauren, for a piece that makes me remember the good times I had in restaurants. Agree with Pam. Servers are some of the smartest people I’ve met. Superb post Lauren! Brought back so many memories – some fond, most not – of the years I spent waitressing while in college….I worked two part-time jobs around my classes, one in a restaurant (horribly heavy trays, awful food smells) and one in a bar (an endless stream of drunk guys trying to cop a feel)…both offering abysmal pay (in those days it was just less than half of minimum wage), but I put on my best flirty smile and made good money in tips. These days, I’m a heavy tipper when I go out and I always straighten up the table and stack up the plates to make it a little easier for the server…..I know that if I ever really had to, I could go back to waitressing in an instant and be able to take care of myself. It may not be high on everyone’s list of career choices, but I have great respect for those who choose it. I think it’s cool that you’re doing something that doesn’t require so much commitment while you try to achieve your travel writing dreams. I think it’s way too easy to stray from your original goals in order to get a paycheck and then lose sight of you were originally striving for! Wow, this is really a fascinating read, Lauren. I’ll be honest and say I’ve only ever seen the negatives of waitressing and thanked my lucky stars I didn’t have to do it (for all the reasons you mention, plus my terrible short-term memory and likely inability to carry a tray full of loaded plates over my head). But for someone who wants their time to be flexible for travel, you’re right. That could be the ideal job–at least while you’re young. The post is right on. I stumbled upon it while looking for a “create your own retirement plan,” search. Well i have been a waitress for over 6 years now and to be honest their is nothing fufilling about it. I guess i always worked at the wrong restuarants but to me it feels like an over worked under paid profession. I would kill for a 9 to 5 job i do tend to always be the one stuck with the doubles in no regardes to my plans or doctors appointments. And its always like a war going to work someone is going to be biting someones head off at one two or three points of the day. So if thats something you can honestly deal with and be happy GO FOR IT!!!!!!! This was a interesting post! I start waitressing at Applebees soon 😀 and I was wondering if I could somehow stay in the food resteraunt industry. I am attending college for Graphic Design and animation right now. But just wondering if even after my degree could I still waitress? I guess it all depends on how it goes.